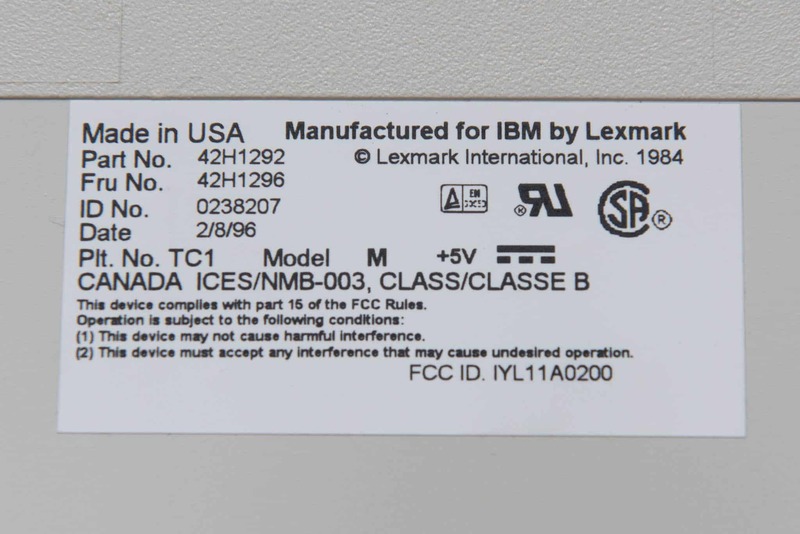 The IBM Model M keyboard is widely considered a bit of a classic. 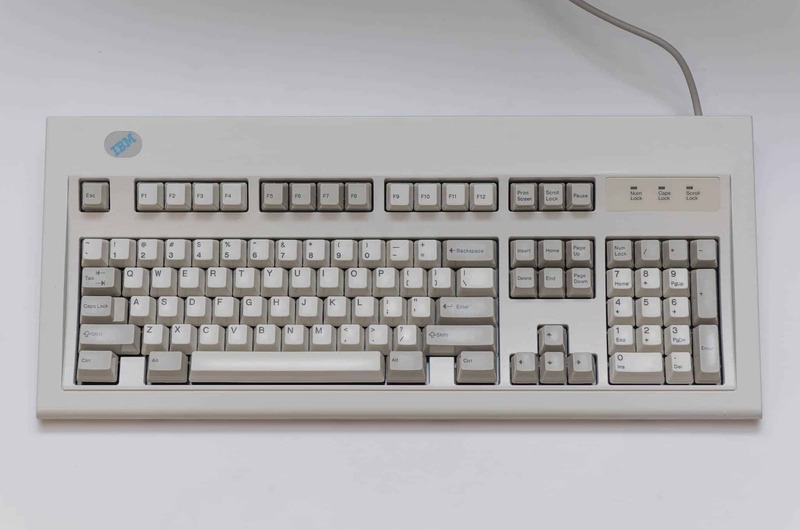 Manufactured from 1984 until the late 90s it is today much sought after by keyboard aficionados owing to its robust build quality, retro looks and of course superlative typing haptics. I was fortunate enough to purchase one in 2003 at a corporate clearout for the princely sum of £3. I decided not to use it owing to my existing keyboard which was serving me perfectly well. 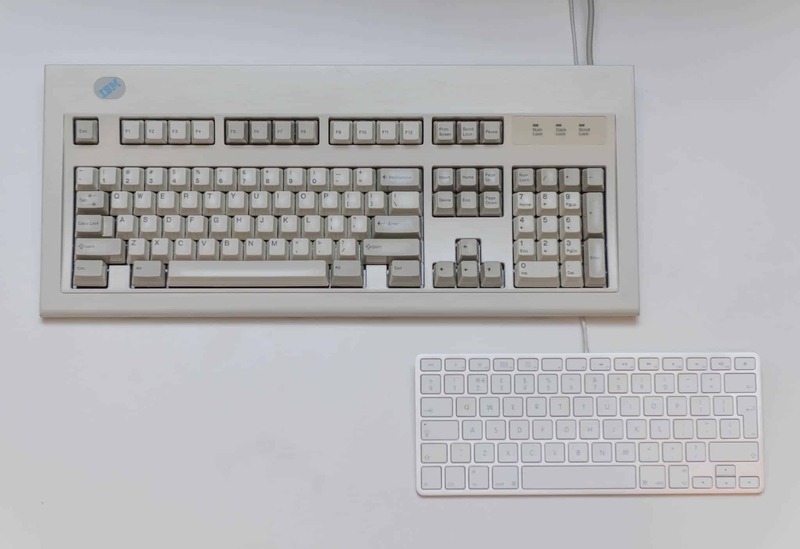 Since then I’ve gone through a myriad array of keyboards including a very much beloved Microsoft Natural keyboard and the small but powerful Happy Hacking Lite. 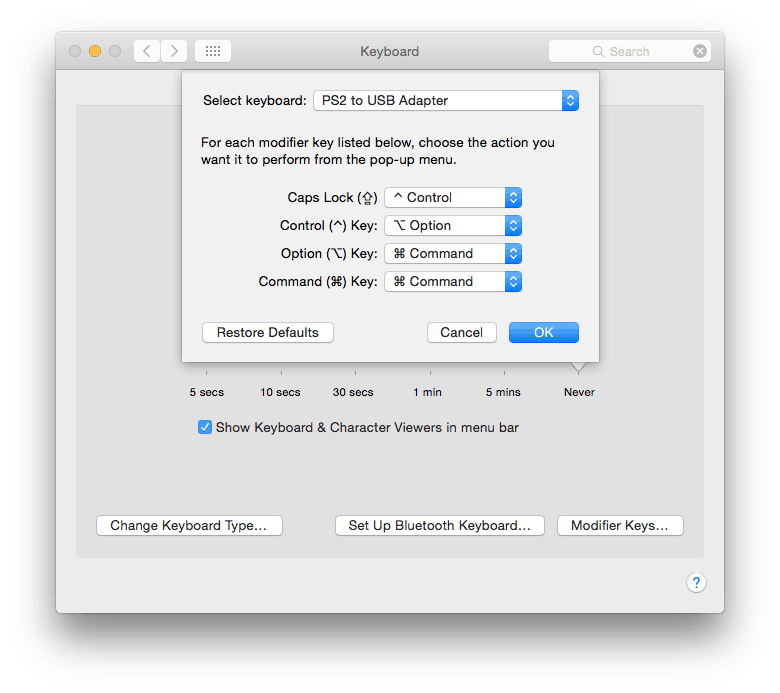 Following my switch from Arch Linux to the Mac my keyboard tastes became less choosy. I switched to Apple’s range of keyboards. And whilst they are very good I have found my typing accuracy to have gone down with time. 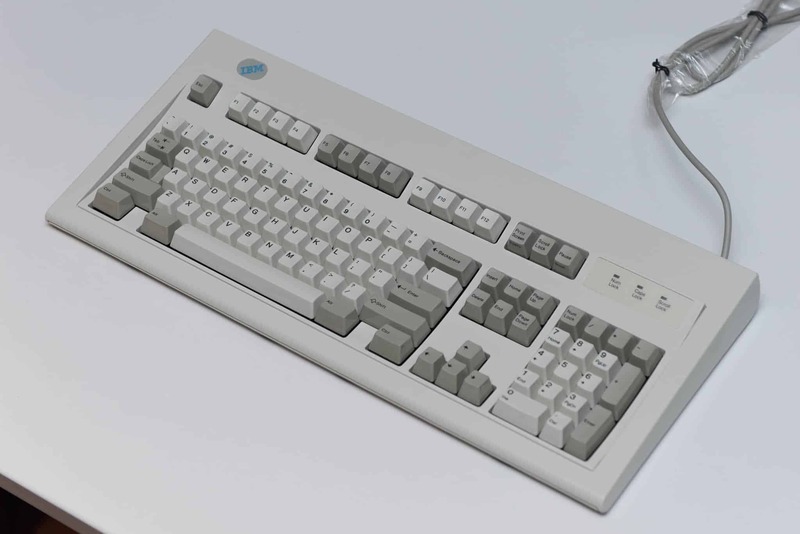 I chalked it up to old age until I stumbled on the excellent deskthority keyboard forum where members reported that different keyboard switches respond at different speeds thus affecting response time and hence the number of typos. This seems to be especially true if a user learnt to type on one type of switch and subsequently switched to another one. 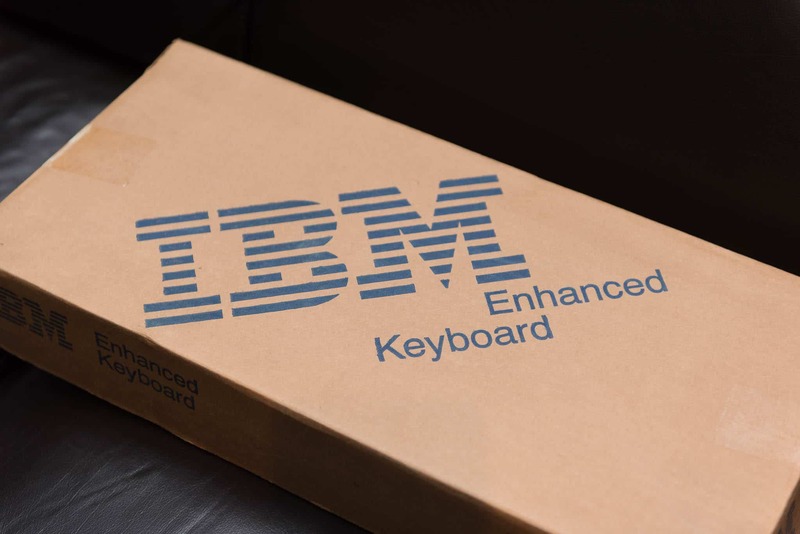 With a light bulb on in my head I recalled my boxed and unopened IBM Model M still sitting in the store room and decided to give it a whirl. The big question is of course how is it in use? Well it’s loud. Nearly as loud as a type writer if I’m being honest. I have to keep the study door closed at night for fear of waking my kids and as far as using it in the office – that is very much out of the question since the clickety-clack borders on anti-social! My typing speed and accuracy have certainly gone up according to typeracer which puts me at about 90-100 words per minute with the Apple Alumin(i)um keyboard and at 100-110 wpm with the Model M.
I find that surprising since firstly I’m very used to Apple’s keyboards and secondly the Model M keys do require more effort to press, especially the spacebar which thunks like a type writer carriage return! But the stats above being what they are I’m willing to give this keyboard a shot despite the amount of desk real estate it consumes and its less conventially attractive appearance. Despite its foibles the Model M just so happens to be extremely satisfying to type on. I mean really, it’s ridiculously good fun. Certainly about as much fun as typing at a computer gets anyways!